WHAT: The University of Illinois Springfield Diversity Center will host a performance by the instrumental music group Autumn’s Child. 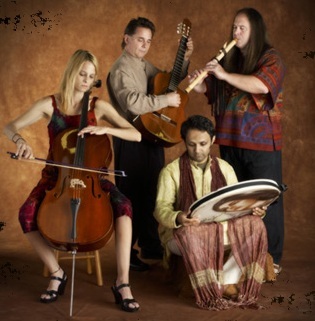 The group will play a mix of folk, jazz, classical and world music. WHEN: Thursday, Nov. 3, 2011 from 9 to 10:30 p.m. DETAILS: Autumn’s Child promises to take you on "a soul's journey filled with wonder and grace and an abundance of groove." Now in its 16th year, the St. Louis based group was founded by Mark Holland in 1995. He is known for his amazing performance on the Native American style flute. Other members of the group include Tracy Andreotti, Billy Engel and Ali Soltanshahi. The group has recorded 16 albums, the most recent being “Balanced”, which was released in October 2010. The performance is FREE and open to the public. For more information on the group, visit www.autumnschild.com. Questions about the performance can be directed to Jeannie Capranica, Diversity Center program manager at 217/206-6584 or by email at jjone1@uis.edu. WHAT: The University of Illinois Springfield Engaged Citizenship Common Experience (ECCE) Speakers Series presents a film screening and panel discussion of “Agora”. The panel will feature three UIS History Department faculty members: Kristi Barnwell, David Bertaina and Elizabeth Kosmetatou. WHEN: Wednesday, Nov. 2, 2011 at 6 p.m. 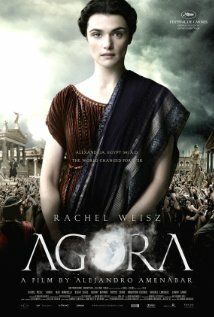 DETAILS: “Agora” is a historical drama set in Roman Egypt, concerning a slave who turns to the rising tide of Christianity in the hopes of pursuing freedom while also falling in love with his master, the famous female philosophy professor and atheist Hypatia of Alexandria. Kristi Barnwell is an assistant professor of modern Middle East. Her current research projects focus on the impact of Arab nationalism in the Arab states of the Persian Gulf and on the period of British military withdrawal from the Persian Gulf and state formation in what became the United Arab Emirates in 1971. Non-research areas of interest include feminism in Islam, Islamic reform movements, and tourism in the Middle East. David Bertaina is an assistant professor of comparative religion. His areas of interest include the intellectual, social and religious history of the late antique and medieval Middle East. He is specifically interested in medieval encounters between Muslims and Christians, especially in Arabic and Syriac dialogue literature and the how these texts framed the construction of identity during the Umayyad and Abbasid Empires. Elizabeth Kosmetatou is an assistant professor of ancient history. She specializes in Greek and Roman history, especially in the Classical and Hellenistic period. Her interests include the study of inscriptions (epigraphy), archaeology, numismatics, ancient sports, ancient and modern political theory, and Political Psychology. WHAT: The UIS Career Development Center is sponsoring the fourth annual UIS Graduate and Professional School Fair. WHEN: Thursday, November 3, 2011 from 11 a.m. – 2 p.m. The event will allow attendees to meet many representatives and gain valuable information in a short amount of time for better overall preparedness in future graduate and professional degree programs. In order to maximize exposure to graduate school recruiters and their resources, the event will be open to the community. Speakers Series presents "Who Cares? Why We Should Care About Those Who Care"
WHAT: The University of Illinois Springfield Engaged Citizenship Common Experience (ECCE) Speakers Series presents “Who Cares? Why We Should Care About Those Who Care”. The event will feature Eileen Boris, Hull Professor and Chair of the Department of Feminist Studies at the University of California, Santa Barbara, where she directs the Center for Research on Women and Social Justice. WHEN: Wed., Oct. 26, 2011 at 7 p.m. DETAILS: Shedding light on the themes from the book and film "The Help", Professor Eileen Boris will address work central to the maintenance of daily life, what feminist theorists call reproductive labor. How did we come to a system of care that relies upon the minimum wage labor of immigrant and U.S. born women of color and the unpaid labor of wives, mothers, and daughters? What are the bonds of care, how do we pay for such labor, and what is our responsibility to care about those who care? Boris argues that we must revalue reproductive labor and offers ways this can be accomplished. An interdisciplinary historian, she specializes in women’s labors in the home and other workplaces and on gender, race, work, and the welfare state. Her forthcoming book on the how home care workers, mostly women of color, became the new face of the labor movement brings together concerns of the home as workplace, the valuing of women’s labors, the connection between public and private, the ways that state policy reinforces inequality, and the failure of welfare reform. This event is co-sponsored by the UIS Women and Gender Studies Department and Sociology /Anthropology Department. For a list of other Speakers Series events, visit http://illinois.edu/goto/speakerseries. The University of Illinois Springfield Political Science Department presents the second Wepner Symposium on the Lincoln Legacy and Contemporary Scholarship, to be held Oct. 21-23, 2011. Portions of the symposium will take place at UIS, the Old State Capitol, and the Abraham Lincoln Presidential Library. The event brings together scholars with diverse intellectual backgrounds, from political science to history and economics, and also seeks to bridge the gap between K-12 and university education. This year's theme, marking the Civil War's sesquicentennial, is "The Civil War: Causes, Conduct, and Consequences". All events are free and open to the general public. Events begin on Fri., Oct. 21 in the Public Affairs Center Restaurant on the UIS campus. The opening session focuses on “Causes of the Civil War”, which runs from 7 to 8:30 p.m. The discussion will feature Paul Poast of Rutgers University, a political scientist with a background in economics and international relations who will be presenting a paper that argues Lincoln’s decision to use force was motivated by a desire to preempt British recognition of the South. Day two of the Wepner Symposium begins on Sat., Oct. 22 at 9 a.m. at the Old State Capitol in downtown Springfield. The morning theme will focus on “Conduct of the Civil War – Lincoln’s Presidency” and will run until noon. The discussion will feature Fred Greenstein, an Emeritus professor from Princeton University and a preeminent senior scholar on the American presidency. He will speak about an upcoming chapter in his new book, which applies his presidential leadership model to Lincoln’s tenure. Chad Newswander, an assistant professor of political science at the University of South Dakota whose research focuses on presidential protection will speak next. 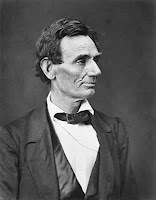 Newswander will be discussing the security problems of the Lincoln presidency. Following Newswander, Stewart Winger, an associate professor of history at Illinois State University, will deliver a talk on Lincoln’s leadership on the issue of race, slavery, and whether African Americans could live as free citizens in the United States. Thomas Schneider, an assistant professor and director of political science at the University of Saint Francis will deliver the final morning presentation on the issue of African American colonization during the Civil War. Following lunch, the afternoon topic turns to “Conduct & Consequences of the Civil War” from 1 to 5 p.m. at the Abraham Lincoln Presidential Library in downtown Springfield. The afternoon will begin with a discussion led by Shamira Gelbman, assistant professor of politics and government at Illinois State University, who will discuss post-Civil War racial politics in comparative context against the case of the Boer War and its aftermath leading up to the apartheid era, from which Nelson Mandela emerged. The next talk by Richard Lawrence Miller, author of the Lincoln and His World book series, will discuss the role of mercenaries in the battle between pro-slavery and free labor forces in Kansas just before the Civil War. Next, Matthew Holden, Jr., Wepner Distinguished Professor in Political Science at the University of Illinois Springfield will offer some semi-formal comments on three points. Those points: (1) What did the Civil War produce? ; (2) What does the Civil War mean for contemporary politics? ; (3) What do Civil War studies mean for contemporary political science? The final roundtable will be led by Dave Robertson, professor of political science at the University of Missouri-St. Louis, who will review the lessons learned from the symposium and their impact on undergraduate education and K-12 education. For more information on the Wepner Symposium, contact Gene Giannotta at 630/329-7516 or email ggiannot@uis.edu. You may also visit the event's Facebook page. WHAT: Rebecca Skloot, the author of The Immortal Life of Henrietta Lacks, is coming to the University of Illinois Springfield this fall. WHEN: Wed., Nov. 9, 2011 at 7 p.m. DETAILS: In her bestselling book The Immortal Life of Henrietta Lacks (2010), Skloot tells the story of a young black woman who died of cervical cancer in 1951—and left behind an inexplicably immortal line of cells known as HeLa. 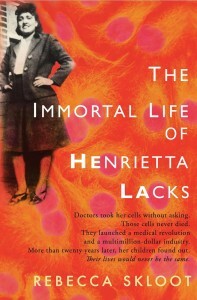 Skloot spent more than ten years researching Henrietta Lacks, whose cells—harvested without her knowledge or consent—contributed to scientific advancements as varied as the polio vaccine, treatments for cancers and viruses, in-vitro fertilization and the impact of space travel on human cells. Part detective story, part scientific odyssey, and part family saga, The Immortal Life of Henrietta Lacks raises fascinating questions about race, class and bioethics in America. The book, currently being made into an HBO movie by Oprah Winfrey and Alan Ball, is a The New York Times bestseller and is the winner of numerous awards. The Immortal Life of Henrietta Lacks was featured on over 60 critics’ best of the year lists and was chosen by Amazon as its book of the year for 2010. Skloot’s Sangamon Auditorium presentation is FREE and open to the public. Tickets will be issued through the Sangamon Auditorium Ticket Office by calling 217/206-6160. A book signing will follow the lecture. The appearance is sponsored by The Friends of Brookens Library, Memorial Medical Center, The Illinois Humanities Council, and the UIS Engaged Citizenship Common Experience (ECCE) Speakers Series. For more information, contact Janelle Gurnsey, UIS Brookens Library at 217/206-8451 or email jawillia@uis.edu. 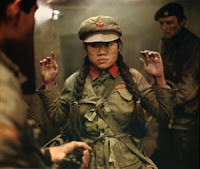 WHAT: The Political Art and the Public Sphere (PAPS) series presents a screening of the film “The Gladiators”, which will be followed by a group discussion. WHEN: Monday, October 17, 2011 at 6 p.m. DETAILS: In "The Gladiators" (1969), Peter Watkins’ applies his “false documentary” style to what could be called “political science fiction.” The story takes place in the near future. To maintain international and internal security and to divert warfare, the UN organizes a series of military games, which are often fought to the death. Based on the gladiatorial games of ancient Rome, these are called the “International Peace Games.” ‘The competitions are broadcast on global television via satellite, complete with sponsors and commercials. The film follows Game 256, which is being ‘played’ in the International Peace Game Center near Stockholm. The officers watching the game try to eliminate players from opposing teams who reach out to each other when they decide that such forms of communication could be the gravest threat of all to the stability of the existing world system. The PAPS series is a monthly event on the UIS campus featuring a showing or a performance of some kind of “political art,” followed by an hour or two of group discussion. Each of the three installments in the fall 2011 series will focus on Peter Watkins. All events are free and open to the public. UIS Lunch & Learn Series presents "Landscapes of the Judicial System: Conviction - Guilty or Innocent?" WHAT: The University of Illinois Springfield Alumni SAGE Society will host “Landscapes of the Judicial System: Conviction - Guilty or Innocent?” as part of its annual Lunch and Learn Series. WHEN: Friday, Oct. 28 from 11:30 a.m. to 1:30 p.m. DETAILS: Guilt or innocence – either can result in conviction. The Downstate Illinois Innocence Project (DIIP) was founded at UIS to address the nature and severity of conviction of the innocent. DIIP engages students, lawyers, and legal experts to exonerate the innocent and educates the public as it seeks reform of the criminal justice system. Problems and possible reforms of a criminal justice system that results in conviction of the innocent will be shared, along with past case experiences. Larry Golden, emeritus professor for political science and legal studies, and Bill Clutter, private investigator and DIIP Director of Investigations, will present a provocative discussion of the complexities of guilt, innocence and conviction. Lunch for the Oct. 28 session is complimentary; however reservations are required one week prior to the event. Other upcoming Lunch & Learn events include “Landscapes of Memory: The Civil War as Illinois History” on Dec. 8. The cost for the Dec. 8 luncheon is $20/person and reservations are required. The University of Illinois Springfield is celebrating Homecoming and Family Weekend the week of October 10 through 15, 2011. The theme of Homecoming Week 2011 is “We Bleed Blue”. The following is a partial list of events. To view a full list of Homecoming activities, including athletic events, visit www.uis.edu/homecoming. WHAT: The UIS Office of Student Life will hold its ever popular Mashed Potato Sculpting contest. Students will use spuds to create displays based on the homecoming theme “We Bleed Blue”. WHEN: Thursday, October 13, 2011 from 11 a.m. to 1 p.m. DETAILS: UIS Food Service prepares 25 pounds of “extra stiff” potatoes which students use for sculpting. Students decorate the mashed wonders with everything from food coloring to glitter. Volunteers judge each design on creativity and theme. 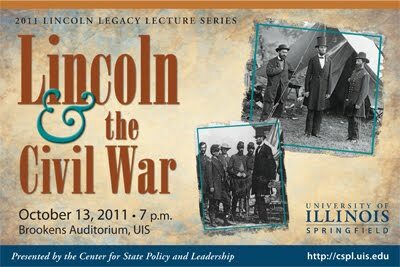 WHAT: “Lincoln and the Civil War” is the theme of the 9th Annual Lincoln Legacy Lecture at the University of Illinois Springfield. WHEN: Thursday, October 13, 2011 at 7 p.m. DETAILS: The speakers will be Michael Burlingame, Naomi B. Lynn Distinguished Chair in Lincoln Studies at UIS, and Lucas E. Morel, Lewis G. Term Professor of Politics at Washington and Lee University. Cullom Davis, Emeritus Professor of History, will serve as moderator. The event is free and open to the public; no reservation is required. WHAT: The parade is an annual tradition of Homecoming at Illinois Springfield. We hope you come out to enjoy the festivities, the UIS band and much more! WHEN: Friday, October 14, 2011 at 4:15 p.m.
WHERE: UIS Campus – The parade will start in parking lot C-north and end in parking lot G south of the University Hall Building. DETAILS: Participation in the parade is open to student organizations, athletic teams, residence halls, campus departments, businesses and non-profit organizations. Great prizes are awarded to student organizations and community entries. WHAT: The UIS Student Activities Committee (SAC) will host its annual BBQ following the parade. WHEN: Friday, October 14, 2011 from 4:45 to 7:15 p.m. DETAILS: Come join us for food, drinks, and fun. Students don't forget to bring your I-card! The cost for non-students is $5. WHAT: The Department of Recreational Sports at UIS is hosting the 3rd annual Homecoming 5K Run/Walk. The race is open to all UIS students, faculty, staff and community members. WHEN: Saturday, October 15, 2011 with registration beginning at 7:30 a.m. and the race starting at 9 a.m. DETAILS: The cost to enter the 5K is $25 until Oct. 15 and $30 the day of the event. Registration forms can be found at the Rec Sports office in TRAC or can be downloaded from the Rec Sports website at www.uis.edu/recsports/. WHAT: The UIS Office of Alumni Relations will host a “Though the Decades” Luncheon featuring alumni from the 1986 NAIA Men's Soccer National Championship team. WHEN: Saturday, October 15, 2011 from 11:30 a.m. to 1 p.m. DETAILS: This year marks the 25th anniversary of the national championship victory. The luncheon program will feature team members and coaches of the era who will share stories and reminisce on Prairie Stars athletics and life at the University. Business casual attire is suggested. The cost is $10/person. WHAT: The University of Illinois Springfield Volunteer and Civic Engagement Center and Office of Alumni Relations is hosting the annual Homecoming U-Help, I-Help Springfield Service Event. WHEN: Saturday, October 15, 2011 from 11 a.m. to 2 p.m. DETAILS: Students will be volunteering to help serve residents lunch. They will also be spending time with the seniors and helping them get to different activities that will be going on at the home. WHAT: Students will face off against Alumni/Faculty/Staff in an annual tradition designed to foster teamwork. WHEN: Saturday, October 15, 2011 at 7 p.m. 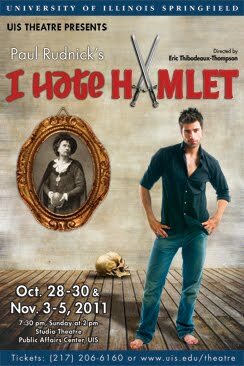 The Theatre Program at the University of Illinois Springfield will debut its 2011-12 season with the play I Hate Hamlet by Paul Rudnick, opening Friday, Oct. 28. Six performances will be presented in the Studio Theatre, on the lower level of the Public Affairs Center at UIS - on Friday, Saturday, Sunday, Oct. 28, 29, and 30, and Thursday, Friday, Saturday, Nov. 3, 4, and 5. All shows will begin at 7:30 p.m., except the Sunday performance (Oct. 30), which will begin at 2 p.m. The Village Voice hails the play as "fast-mouthed and funny...It has the old-fashioned Broadway virtues of brightness without pretensions and sentimentality without morals," while the New York Times call it “unapologetically silly and at times hilarious...affectionately amusing about the theatre." UIS Associate Professor of Theatre Eric Thibodeaux-Thompson directs. The cast includes UIS alumnus Ben Beams playing "Barrymore," student Tommy Caldwell playing "Andrew," student Shandi Brown playing "Felicia," student Jillian Risinger playing "Deirdre," and student Dwight Langford playing "Gary," with community member McKenzie Ward playing "Lillian." Alumni from the Capital Scholars Honors Program at the University of Illinois Springfield returned to campus on Thursday, Oct. 6, 2011 to speak with current students about how the program benefited them. “(The alumni) are connecting their interdisciplinary coursework and the work they did in the honors program with their careers,” said Karen Moranski, UIS associate vice chancellor for undergraduate education. Among the returning students was Blair Brown, the first CAP Honors alumna to earn a doctorate degree. Blair graduated from UIS in 2006 and went onto earn a doctorate in Psychology. She now works at a behavioral hospital doing individual, group and family therapy, along with other evaluations. “I don’t know that the road would have been so easy for me if it weren’t for the CAP Honors Program,” said Blair. The CAP Honors Program is a four-year baccalaureate experience open to a small number of highly qualified college students. Focusing on the student's total growth in the personal, academic, social, and civic arenas, the CAP Honors Program features interdisciplinary and collaborative learning and is designed to develop student talents through small classes that encourage lively exchange between students and professors. “The students need to understand the value of this particular kind of curriculum. It’s not a curriculum other college students may experience,” said Moranski. Chris Wyant, a 2006 graduate of the program now teaches high school English. While he didn’t always understand the extra work and requirements of the CAP Honors Program, he’s now realizing the benefits. “I think the challenge of it allowed me to become more used to the challenging work environment and constantly being forced to think things through and really think in a complex way about things,” said Wyant. Other alumni who participated included Carly Hawkins ’05, Samantha Kruse ’10 and Anna Van Voorhis ’10. For more information on the Capital Scholars Honors Program and for requirements, visit their website. UIS Lincoln Legacy Lectures will examine "Lincoln and the Civil War"
WHAT: The 9th annual Lincoln Legacy Lectures, presented by the University of Illinois Springfield, will discuss “Lincoln and the Civil War.” The lectures, and a reception and book signing that will immediately follow, are free and open to the public. No reservation is required. WHEN: Thursday, Oct. 13, 2011 at 7 p.m. DETAILS: The Lincoln Legacy Lecture Series brings nationally known scholars to Springfield to discuss issues that are of contemporary interest and also engaged Abraham Lincoln and citizens of his era. This year’s featured speakers are Dr. Michael Burlingame, Chancellor Naomi B. Lynn Distinguished Chair in Lincoln Studies at UIS, and Dr. Lucas E. Morel, Lewis G. John Term Professor of Politics at Washington and Lee University. Program moderator Dr. Cullom Davis is Professor Emeritus of History at UIS. Burlingame is the author of a new book on Lincoln and the Civil War (Southern Illinois University Press, 2011) and of the award winning, two-volume biography, Abraham Lincoln: A Life (Johns Hopkins University Press, 2008). Morel is the author of Lincoln’s Sacred Effort: Defining Religion’s Role in American Self-Government (Lexington Books, 2000), and editor of Ralph Ellison and the Raft of Hope: A Political Companion to “Invisible Man” (University Press of Kentucky, 2004). The Lincoln Legacy Lecture Series is sponsored by the UIS Center for State Policy and Leadership in cooperation with the Lynn Chair in Lincoln Studies. Co-sponsors of this year's event include the UIS College of Liberal Arts and Sciences, UIS College of Public Affairs and Administration, Shelby Cullom Davis Charitable Fund, Engaged Citizenship Speakers Series, Illinois Issues, Illinois State Library, University of Illinois Alumni Association, and WUIS Public Radio. For more information, contact the Center for State Policy and Leadership at 217/206-7163.